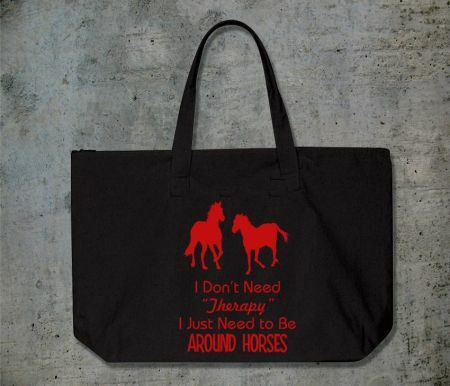 The Horse Therapy Tote is 10oz, 100% cotton canvas. 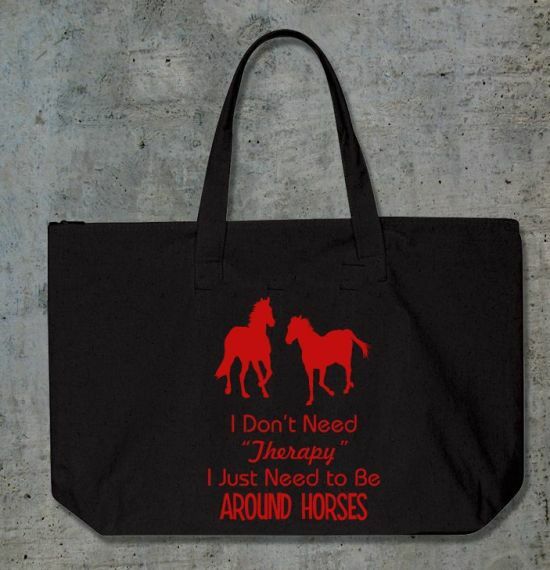 There is a zip top to protect your goods. The bottom measures at 22” x 15” x 5”. The design is done in the highest quality process to ensure a long and vibrant life.